Officers from the Los Angeles County Sheriff’s Department on Nov. 15, 2017, arrested two people and confiscated marijuana worth over $20,000 from a fake church in the 15500 block of Amar Road in La Puente. The site was actually a pot shop masquerading as “The Citadel Church of La Puente,” media reports said. According to Deputy Juanita Navarro-Suarez of the Los Angeles County Sheriff’s Information Bureau, the church was a dispensary, selling weed and products like marijuana wax and pot edibles such as chocolate bars. 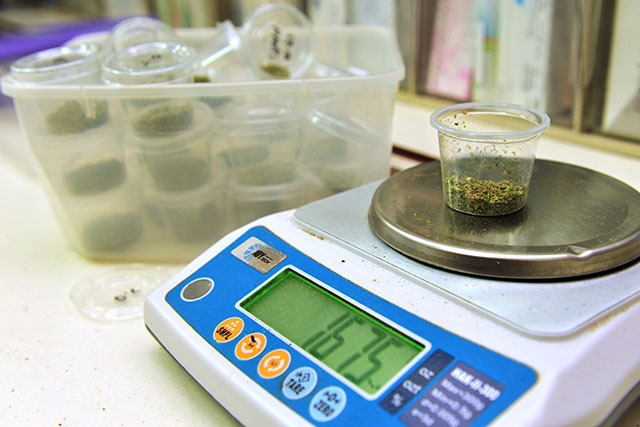 Navarro-Suarez also added that officials seized three small digital scales and surveillance equipment from the dispensary premises, which has a La Puente city permit to repair cellphones. Prior to procuring an arrest warrant, deputies were monitoring the so-called church for about three weeks finally leading to the raid. In an online profile, the dispensary posted that “We the assemblage Citadel Church of La Puente believe in God, and thus we aim to make room for people of all backgrounds requiring adherence to any religious belief. Join us as we rejoice, confess, receive forgiveness and serve.” Authorities easily tracked down The Citadel Church of LA Puente on the site — weedmaps.com — where it is registered as a verified seller with an extensive menu and daily specials. An African-American man as well as an Asian woman were arrested during the bust, but they were later released with citations. In a similar operation, deputies belonging to the La Puente Special Enforcement Team busted an illegal marijuana dispensary in the city on Nov. 8, 2017, at Glendora Avenue, near Hacienda Boulevard. Last month, another illegal pot shop was busted in El Monte, which led to the seizure of significant amounts of marijuana, concentrated cannabis and weed-laced food products. Due to the absence of any recognized medicinal value and the potential risk of abuse, marijuana is classified as a Schedule I drug by the Drug Enforcement Administration (DEA). There is a possibility that easy access to marijuana may push chronic users to experiment with other types of hard drugs, which could pave the way for addiction, mental-health problems and other life-threatening consequences. Research findings support the fact that marijuana modifies the brain’s reward system by creating a dopamine rush, which may trigger drug cravings in users. In the event of the complete legalization of cannabis, there is always a risk of the drug reaching the wrong hands such as adolescents and high school students, who are a part of the high-risk group. Notably, cannabis is the most commonly used illicit drug in the country. According to the National Survey on Drug Use and Health (NSDUH), more than 22 million Americans aged 12 or older were using marijuana in 2015. If you or a loved one is addicted to marijuana, seek treatment immediately. The Los Angeles Drug Treatment and Rehab Center can help you get one of the best addiction treatment programs and embrace sobriety. You may call at our 24/7 helpline number 213-986-2445 for more information on different treatment options in your vicinity.